Best Value On The Web! This is an Agreement between you and all persons you represent (and for purposes of this Agreement, "person" includes natural persons and any type of incorporated or unincorporated entity) and Agreement regarding your access to and use of the Better Boating Safe Boat Training® Website and all content, information, products and services available on or through the Website (collectively, the "Website"). Where applicable this Agreement also provides benefits to BETTER BOATING SAFE BOAT TRAINING® affiliates, service providers, suppliers and other persons. Each time you use the Website you signify your acceptance and Agreement, and the acceptance and Agreement of any person you represent, to be bound by this Agreement as it reads, and you represent and warrant that you have the legal authority to agree to and accept this Agreement on behalf of yourself and any person you represent. If you do not agree with each provision of this Agreement, or you are not authorized to agree to and accept this Agreement on behalf of the person you represent, you may not access or use the Website. The Website is for convenience and informational purposes only and is not intended to convey advice or recommendations, or an offer to sell any product or service. This Agreement is in addition to any other Agreement you may have with BETTER BOATING SAFE BOAT TRAINING®, including a transaction Agreement. You may use the Website only if, can form legally binding contracts under applicable law. You may not use the Website if you live in a jurisdiction where access to or use of the Website or any part of it may be illegal or prohibited. It is solely your responsibility to determine whether your use of the Website is lawful, and you must comply with all applicable laws. BETTER BOATING SAFE BOAT TRAINING® reserves the right to request proof of identification and age (for example, proof of your ability to purchase certain services). BETTER BOATING SAFE BOAT TRAINING® may, in its sole discretion, change this Agreement from time to time as it relates to future use of the Website, by posting a revised Agreement on the Website. By using the Website after this revised Agreement has been posted, you signify your acceptance and Agreement to be bound by the revised Agreement. You may not change this Agreement in any manner. The Website (including all content, page headers, custom graphics, button icons, and scripts and the presentation, arrangement, coordination, enhancement and selection of such and other information in text, graphical, video and audio forms, images, icons, software, designs, applications, data, and other elements available on or through the Website) is the property of BETTER BOATING SAFE BOAT TRAINING® and others, and is protected by Canadian and international copyright, trademark and other laws. Your use of the Website does not transfer to you any ownership or other rights in the Website or its content. The Website is made available to you for your lawful, personal use only. You may use the Website only in the manner described expressly in this Agreement and subject to all applicable laws. Using the Website for any other purpose or in any other manner is strictly prohibited. You may print Website pages provided that you do not modify any of the pages and you do not remove or alter any visible or non-visible identification, marks, notices, or disclaimers. The Website and its content may not be copied, imitated, reproduced, republished, uploaded, posted, transmitted, modified, indexed, catalogued, mirrored or distributed in any way, in whole or in part, without the express prior written consent of BETTER BOATING SAFE BOAT TRAINING®. You may not sell or resell any part of the Website or access to the Website. You may not use any of the software that is used in the operation or provision of the Website except while you are using the Website in accordance with this Agreement. BETTER BOATING SAFE BOAT TRAINING® commits its self to provide current and accurate information on the Website. However, misprints, errors, omissions, inaccuracies (including incorrect specifications for products) or other errors may sometimes occur. BETTER BOATING SAFE BOAT TRAINING® cannot guarantee that products and services advertised on the Website will be available when ordered or thereafter. BETTER BOATING SAFE BOAT TRAINING® does not warrant that the content of the Website including, without limitation, product descriptions or photographs, is accurate or complete. BETTER BOATING SAFE BOAT TRAINING® reserves the right to: (a) correct any error, inaccuracy or omission at any time without prior notice or liability to you or any other person; (b) change at any time the products and services advertised or made available for sale on the Website, the prices, fees, charges and specifications of such products and services, any promotional offers and any other Website content without any notice or liability to you or any other person; (c) reject, correct, cancel or terminate any order, including accepted orders for any reason and (d) limit quantities available for sale or sold. The advertisements that may appear on the Website are invitations to you to make offers to purchase products and services on the Website and are not offers to sell. All prices and other amounts appearing on the BETTER BOATING SAFE BOAT TRAINING® Website are quoted in Canadian dollars. and other names and logos appearing on or in connection with Website (the "Marks") are registered or unregistered trademarks, service marks, trade names and logos owned or licensed by their respective owners or licensees. Any use of the Marks, except as expressly provided in this Agreement, is strictly prohibited. We appreciate that you wish to add BETTER BOATING SAFE BOAT TRAINING® to your site; we ask that you please contact us before doing so. To request permission to link to the Website, please send an email to info@betterboating.ca BETTER BOATING SAFE BOAT TRAINING® may in its discretion cancel and revoke any permission it may give to link to the Website at any time and without any notice or liability. The framing, mirroring, scraping or data-mining of the Website or any of its content in any form and by any means is strictly prohibited. In order to avoid potential misunderstandings or disputes, BETTER BOATING SAFE BOAT TRAINING® does not accept or consider unsolicited ideas or suggestions (“submissions”). If you send submissions to BETTER BOATING SAFE BOAT TRAINING® or the Website, you automatically grant (or warrant that the owner of the submissions grants) to BETTER BOATING SAFE BOAT TRAINING® and its successors, assigns and licensees a perpetual, royalty-free, unrestricted, non-exclusive world-wide, irrevocable, assignable, sub-licensable, right and license to use and exploit the submissions or any ideas, concepts, know-how or techniques associated with the submissions for any purpose whatsoever, commercial or otherwise, using any form, media or technology now known or later developed, without providing any attribution or compensation to you or any other person, without any liability whatsoever, and free from any obligation of confidence or other duties on the part of BETTER BOATING SAFE BOAT TRAINING® or its successors, assigns and licensees, and you agree, represent and warrant that all moral rights in the submissions are waived in favor of BETTER BOATING SAFE BOAT TRAINING® and its successors, assigns and licensees. From time to time BETTER BOATING SAFE BOAT TRAINING® may make contests available to users of the Website and others. All contests are governed by this Agreement and the applicable contest rules. By participating in a contest through the Website, you signify your Agreement and acceptance of this Agreement and the applicable contest rules. All information you provide through the Website, including registration information (name and email address), payment information (credit card numbers and expiration dates), and transaction-related information, must be true, accurate, current and complete. BETTER BOATING SAFE BOAT TRAINING® will rely on the information you provide. You will be solely responsible and liable for any and all loss, damage, and additional costs that you, BETTER BOATING SAFE BOAT TRAINING® or any other person may incur as a result of your submission of any false, incorrect or incomplete information or your failure to update your registration information and payment information within 30 days of any change. Certain areas and features of the Website are accessible only to users who have been issued a login name and password (collectively "Codes") by BETTER BOATING SAFE BOAT TRAINING®. For the purposes of accessing the Website, the Codes remain the property of BETTER BOATING SAFE BOAT TRAINING® and may be cancelled or suspended at any time by BETTER BOATING SAFE BOAT TRAINING® in its discretion without any notice or liability to you or any other person. BETTER BOATING SAFE BOAT TRAINING® is not required to validate any actual identity of persons or entities that have been issued codes. BETTER BOATING SAFE BOAT TRAINING® may act upon any communication that is given with the use of Codes. BETTER BOATING SAFE BOAT TRAINING® may in its discretion at any time require proof of the identity of any person seeking to access and use the Website, and may deny access to and use of the Website or parts of it or refuse to accept or act upon any communication if BETTER BOATING SAFE BOAT TRAINING® is not satisfied with such proof. When you have been issued Codes: (a) you are fully responsible and liable for the security of the Codes and any and all use and misuse of the Codes; (b) you will keep the Codes secure and confidential at all times and not disclose the Codes to any other person or permit any other person to use the Codes; (c) you will ensure that all uses of the Codes comply with this Agreement; (d) once you have logged-on to the Website using the Codes, you will not leave the computer terminal used to access the Website unless and until you have terminated the session and logged-off the Website; and (e) you will immediately notify BETTER BOATING SAFE BOAT TRAINING® by phone 1-877-723-2326 or email to info@betterboating.ca if you know or suspect that any Codes have been lost or stolen or become known to or used by any other person. BETTER BOATING SAFE BOAT TRAINING® may cause software to be available for you to download from the Website or through other Website and Internet resources. The software is protected by copyright and downloading and use of the software is governed by the applicable transaction Agreement and the Software License Agreement specific to the software. By downloading software, you signify your Agreement and acceptance of the applicable transaction Agreement and Software License Agreement. The Website is provided on “As Is Basis as Available” basis without any representation, conditions or warranties of any kind whether expressed or implied and including without limitations implied representations warranties or conditions of or relating to accuracy, accessibility, merchantability or durability all of which are disclaimed by BETTER BOATING SAFE BOAT TRAINING® to the fullest extent permitted by law! BETTER BOATING SAFE BOAT TRAINING® and its Agents or Providers will never be liable to you or any other person for any indirect, consequential, special ,incidental, punitive or exemplary loss or damage arising from connected with or relating to the Website or this Agreement including but not limited to loss business, data, markets, saving, income, use of production, reputation, or good will anticipated or otherwise or economic loss, under any theory of liability whether in contract, tort or any other law or equity, regardless of any negligence or other fault or wrong doing ( including without limitations gross negligence and fundamental breach) by BETTER BOATING SAFE BOAT TRAINING® or any person whom BETTER BOATING SAFE BOAT TRAINING® is responsible, even if BETTER BOATING SAFE BOAT TRAINING® has been made aware of the possibility of such damage or loss being incurred! For your convenience, the Website may include links or references to other Internet sites or resources and businesses operated by other persons (collectively "other sites"). other sites are independent from BETTER BOATING SAFE BOAT TRAINING®, and BETTER BOATING SAFE BOAT TRAINING® has no responsibility or liability for or control over other sites, their business, goods, services, or content. BETTER BOATING SAFE BOAT TRAINING® does not sponsor or endorse other sites or their business, goods, services, or content, unless expressly indicated in writing on the Website. Your use of other sites and your dealings with the owners or operators of other sites is at your own risk, and you will not make any claim against BETTER BOATING SAFE BOAT TRAINING® arising from, connected with, or relating to your use of other sites or your dealings with the owners or operators of other sites. As between you and BETTER BOATING SAFE BOAT TRAINING®, this Agreement, with all necessary modifications, applies to your access and use of any other sites and their business, goods, services and content. Notwithstanding any other provision of this Agreement, BETTER BOATING SAFE BOAT TRAINING® may in its discretion change, discontinue, modify, restrict, suspend or terminate the Website or any part of it without any notice or liability to you or any other person. BETTER BOATING SAFE BOAT TRAINING® may in its discretion and for its convenience at any time immediately terminate, temporarily or permanently, this Agreement or your permission to access and use the Website without any notice or liability to you or any other person. If this Agreement or your permission to access or use all or any part of the Website is terminated for any reason, then this Agreement and all other than existing Agreements between you and BETTER BOATING SAFE BOAT TRAINING® will continue to apply and be binding upon you regarding your prior access to and use of the Website, and anything connected with, relating to or arising there form. This Agreement, your access to and use of the Website, and all related matters are governed solely by the laws of Ontario, Canada and applicable federal laws of Canada. Any dispute between you and BETTER BOATING SAFE BOAT TRAINING® or any other person arising from connected with or relating to the Website, this Agreement, or any related matters (collectively "Disputes") will be resolved before the Courts of Ontario, sitting in the City of Brampton. Unfortunately there are no refunds, unless you the customer were charged more than once due to technical problems during the payment transaction process. BETTER BOATING SAFE BOAT TRAINING® must be notified info@betterboating.ca within 30 days of any technical problems in order to be eligible for a refund. Other refund requests will be dealt with on a case by case basis. In the case where it is determined or thought to be the case that a customer has created a profile under false pretenses or used a fraudulent method of payment or does not have permission for its use, the customer may not receive his/her Operator Card and could face criminal charges. Refund requests will be dealt with on a case by case basis. If you do not receive your card within 60 days of passing your PCOC TEST, please contact info@betterboating.ca. Waiting beyond the 60 days will result in a re-issue fee to have another card issued. Please ensure that you have supplied BETTER BOATING SAFE BOAT TRAINING® with your correct mailing address. If there is an error on your Operator Card, such as an incorrect spelling of your name or date of birth, you must report it to BETTER BOATING SAFE BOAT TRAINING® within 30 days. If reported within the 30-day period, BETTER BOATING SAFE BOAT TRAINING® will reissue your card at no charge. Waiting beyond the 30 days will result in a re-issue fee. When required the system will prompt for payment and payment must be made in full to prior to commencing Transport Canada's Pleasure Craft Operator Test. BETTER BOATING SAFE BOAT TRAINING® accepts Visa/debit and Master Card Credit/debit Cards online using a 124 bit encryption secure website. All charges are in Canadian Currency. Note: Fees subject to change without notice. BETTER BOATING SAFE BOAT TRAINING® is committed to providing excellent service and value to our customers. We achieve this through quality leadership and continuous improvement in all of our services. If any provision of this Agreement is held to be invalid or unenforceable for any reason, then the provision will be deemed to be severed from this Agreement and the remaining provisions will continue in full force and effect. This Agreement ensures to the benefit of and is binding upon each of BETTER BOATING SAFE BOAT TRAINING® and its successors, assigns and related persons, and you and your heirs, executors, administrators, successors, permitted assigns and personal representatives. You may not assign this Agreement or the rights and obligations under this Agreement. BETTER BOATING SAFE BOAT TRAINING® may assign this Agreement and its rights and obligations under this Agreement without your consent. No consent or waiver by any party to or of any breach or default by any other party in its performance of its obligations under this Agreement will be: (a) deemed or construed to be a consent to or waiver of a continuing breach or default or any other breach or default of those or any other obligations of that party; or (b) effective unless in writing and signed by all parties. Any rights not expressly granted by this Agreement are reserved to BETTER BOATING SAFE BOAT TRAINING®. 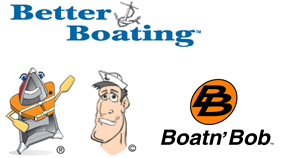 About Better Boating Safe Boat Training® and Boatnbob.Com? Email: Technical support 7 days a week!